The last year of the first decade of the 21st century will be remembered as the year the bookstores died in Canada. Today is December 29th, 2009. In Winnipeg, McNally Robinson Booksellers has just filed for bankruptcy protection, and is about to close its Polo Park location and its brand New Don Mills (Toronto) store. In August 2008, they closed their Calgary location. That leaves one location in Winnipeg and another in Saskatoon. If the bankruptcy protection application is approved, they’ll survive, along with a web store. Eight days ago, the CBC reported that the Toronto Women’s Bookstore is also in jeopardy. Founded in 1973, the store does not have the money to pay its January bills, and is seeking help with fundraising to sustain it for the next year. Since 2004, women’s bookstores in Calgary, Saskatoon, Hamilton, London and Sudbury have all closed. According to the Toronto Women’s Bookstore, there are only 21 women’s bookstores left in the entire world. These two events add insult to the injury of a very bad year for book retail. 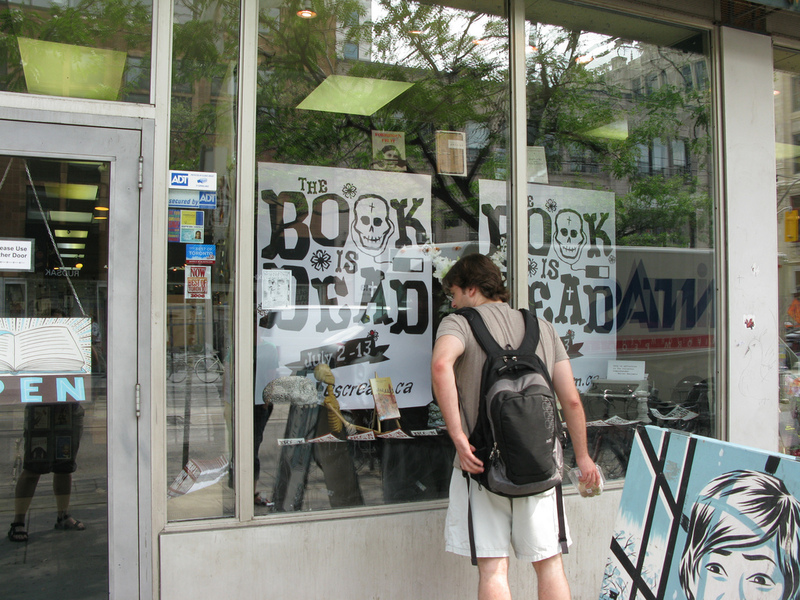 In Toronto in particular, 2009 was a bookstore bloodbath. Marc Glassman’s venerable Pages Books & Magazines closed its doors after 30 years. Atticus Books, a vast cave crammed full of used scholarly and art books, declined to renew its lease and went Internet-only. In February, David Mirvish Books went dark. This is not to say that there are no independent booksellers left. In Toronto alone, there’s the Book City chain, This Ain’t the Rosedale Library (safely ensconced in its new Kensington Market digs), Type Books and Ben McNally Books for starters. But it’s worth noting that the cultural landscape of Canadian cities is changing for the worse. The roots of this situation have to do with more than the rapid growth of digital media. The incursion of big-box book retail at the beginning of the decade, which was initially received as a boomtime blessing, had a lot to do with it. Small publishers experienced unprecedented sales as their books were used to fill the shelves of cavernous stores scattered across the Power Centres of the nation. After several years of people were so besotted with big-box bookstores that some were seriously arguing that they might soon replace the function of public libraries. Libraries, moreover, traditionally do not have a Starbucks in the building. All of the sales that small publishers were making to the big-box chains quickly turned into an avalanche of returns. Profits from the initial sales, used to print larger runs for subsequent seasons of books, were clawed back by Chapters and Indigo as credit for returns — credit which they then used to finance new shipments of books for which the publishers could suddenly no longer afford to pay their printers. As long as the bookstores were in expansion mode, their investors were satisfied, but as soon as the stores actually had to make money, thpue whole system collapsed into a frantic shell game, complete with thinly disguised government bailouts for the publishers. What happened next would have seemed surprising to someone who didn’t know that Chapters had lost complete control of their inventory system at least once and probably twice. At the behest of managers frantic to reduce store inventory levels, employees packed skids of books according to publisher alone and sent semitrailers full of them back to the distributors. The smaller but wilier Indigo reared up and swallowed a weakened Chapters like a python eats a pig. The result is a national chain with a near-monopoly on book sales where, despite the size of the actual retail space, the variety of actual books on sale is dismally limited, and not just in terms of small-press literary titles. Last month, I couldn’t find a single Raymond Chandler book in the Mystery section of a Kitchener IndigApters store. I’ve said this before and I’ll say it again: we get the culture we deserve. On the Internet, there are more independent writers than ever. 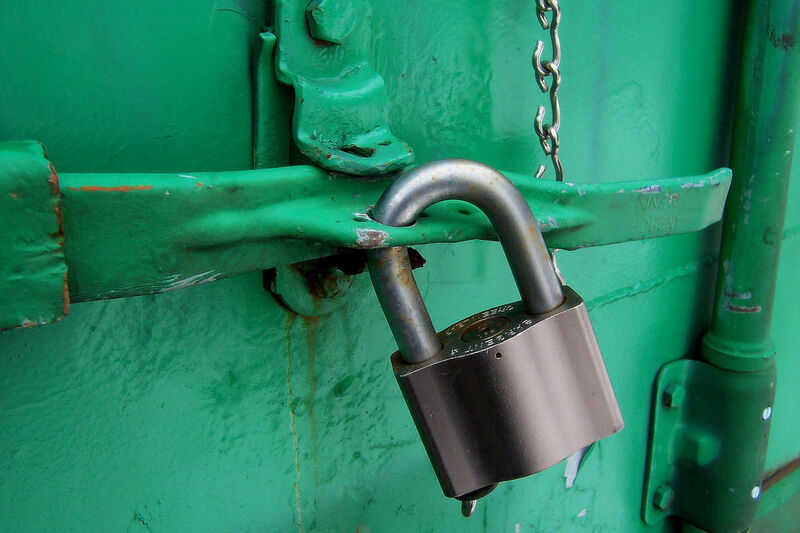 There are places that digital writing can be had freely, both legally and illegally. But I find it depressing to note that the consolidation of books into the hands of one or two large gatekeepers has occurred in digital space even more rapidly than it occurred in physical space. So the Internet is both poison and cure for this moment in the history of print culture. Not all independent booksellers will vanish, any more than all books will themselves totally sublimate into digital data. But public space will be different forever. Since I was a child, I have habitually learned the space of new cities by the locations of their bookstores. What I know about the culture of a place I have learned at least in part from what I found inside those stores. Those markers are fewer and farther between now, and we’ll be needing a new set of waypoints. Originally published as “Alienated 15: Goodbye to All That,” Matrix, December 2009. Feature image by Shira Golding.